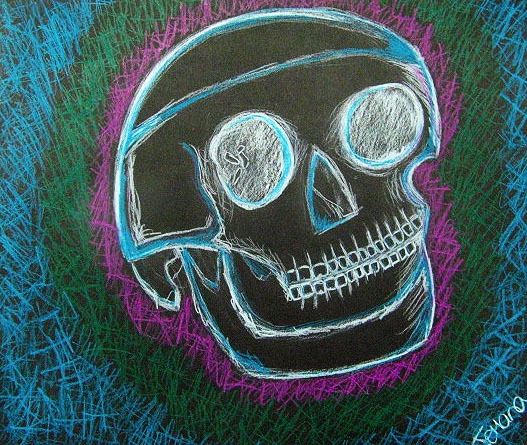 The student will use observational skills to draw a skull/skulls using color pencils. The student will apply color theory concepts and are highly encouraged to experiment with different types of lines. 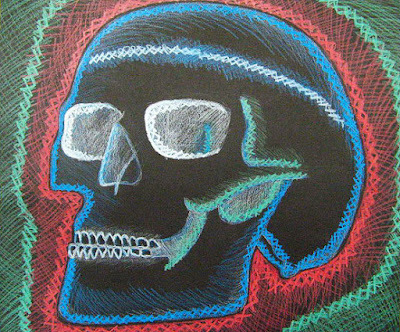 The student will demonstrate principles (unity, harmony, variety, contrast, proportion, and balance) and elements (line, texture, color, form, shape, and value) of art. 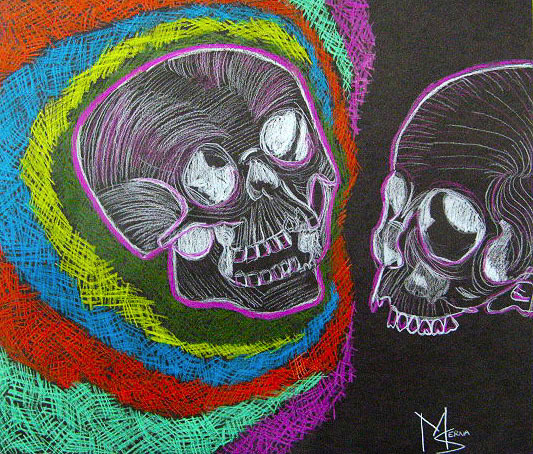 Black paper, Prismacolor pencil, 2 real skulls from the Science department. 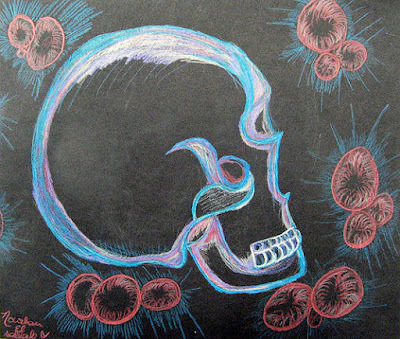 The skulls will be set up on the table the student will choose the angle they wish to draw. The student will use a white pencil to create the initial line drawing. After the student has made the initial drawing they will choose what types of line and color combination they wish to add. Again, they are encouraged to experiment using lines and color combinations. What part of the project did you find challenging? What do skulls and/or skeletons symbolize in the Egyptian society? 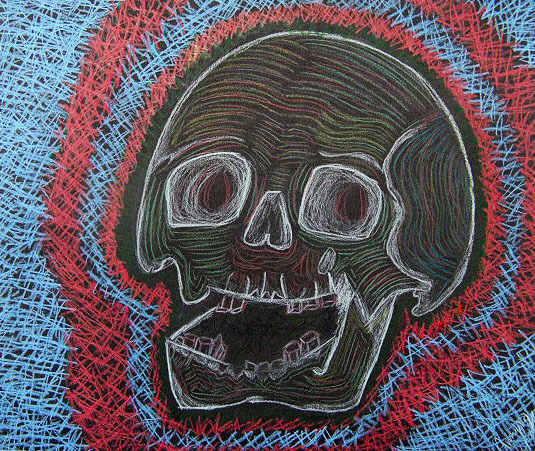 Did you feel uneasy sitting at a table with a real skull?